NTA NEET UG 2019 Exam date, Eligibility, Syllabus, Application fees, counselling details to be announced by NTA. 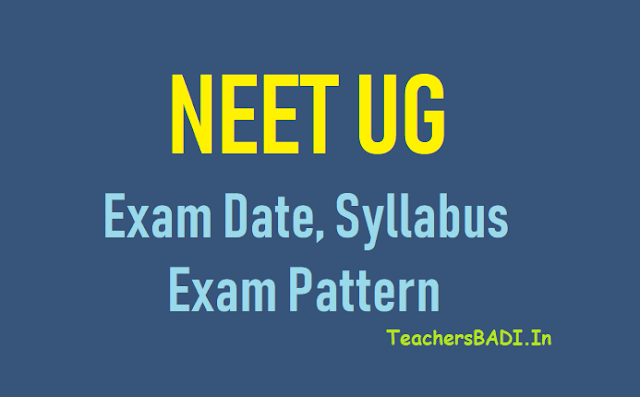 NEET UG 2019 Schedule announced in July: Union HRD Minister Prakash Javadekar last week announced that the JEE (Main) and NEET will now be conducted twice a year. The NTA will also conduct the National Eligibility Test (NET). All these tests were earlier organised by the CBSE. NTA NEET 2019 likely to be conducted only once in pen and paper format, decision this week: National Eligibility and Entrance Test, NEET 2019 is expected to be conducted only once and in pen and paper format. As per reports, the Ministry of Human Resource Development, MHRD is considering the concerns raised over the proposal of conducting NEET 2019 in online mode. With restrictions of rural candidates, sources close to HRD have suggested that the proposal of continuing NTA NEET 2019 in the same pattern and format is being considered and a decision is expected this week. NEET 2019 would be conducted by the National Testing Agency, NTA as announced by HRD Minister Prakash Javadekar. However, instead of the proposed twice a year, the examination may be conducted once, in the month of May or June, as was the case under CBSE till this year. As per the announcement, NTA had planned NEET 2019 to be conducted in computer based format I February 2019 and then again in May 2019. Though the reports have not been confirmed as yet, the sources have shared that Health Ministry has approached HRD to reconsider its plan to conduct the examinations in online or computer based format. The health ministry has also reportedly asked HRD to rethink its decision to conduct NEET twice a year. Prakash Javadekar“The health ministry also feels that CBSE should assist NTA in the conduct of the exam as the Board has been conducting it for many years earlier in the form of PMT”.. The HRD is considering the requests and proposals and a decision on the same is expected within this week.As for the pros and cons of the decisions, various experts feel that the transition would be a concern but computer based tests are the future. Many pointed out that with NEET being the single point examination for admissions to all undergraduate medical and dental seats, the logistic challenge of conducting the examination in online format were immense.“Its not merely the number of students that appear for the examination. It is the fact that students even from remote areas appear for the examination that is the concern. Making sure that all the students are able to transition without concerns to the online mode is a task which NTA would have to facilitate,” shared an expert. As for the twice a year or once a year debate, experts pointed out that the decision in the end is about the feasibility of the examination. “If the ministry was to consider pen and paper based format, the cost of conducting the examination twice a year could be an evident challenge.” Experts however are divided over the debate and believe that it would be a balancing act for the HRD ministry. Preparation syllabus includes the whole of Class 11 and 12 standard NCERT textbooks in the respective subjects. Every correct answer would fetch you plus four marks and every incorrect answer results in a negative mark. Questions that are not attempted do not have any penalty marks.